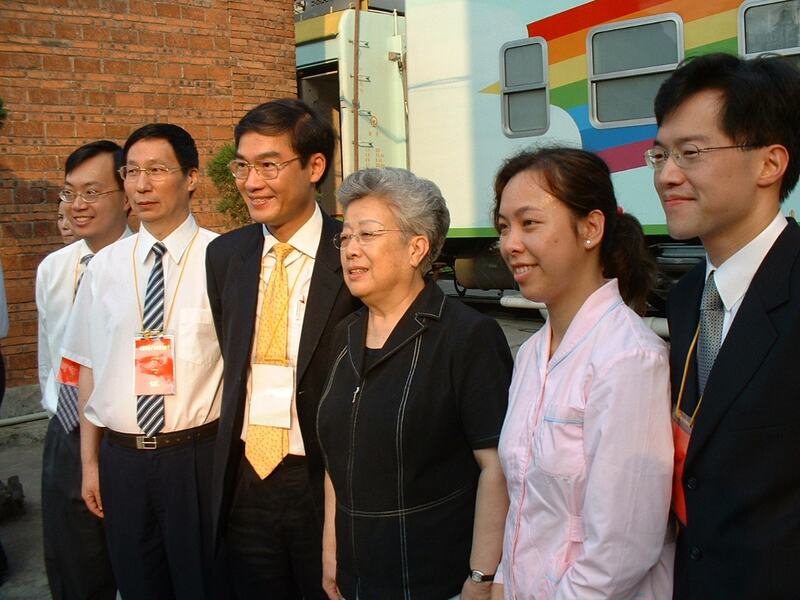 In thankfulness we enter into celebration of the 15th anniversary of the Joint Shantou International Eye Center (JSIEC) of Shantou University and the Chinese University of Hong Kong. We are grateful to all who have supported us over the years. We treasure our work to educate students and train professional staff in ophthalmic services. We appreciate our tasks to serve patients. With determination, we look into the future to enhance our clinical service, research, training, education and community services. 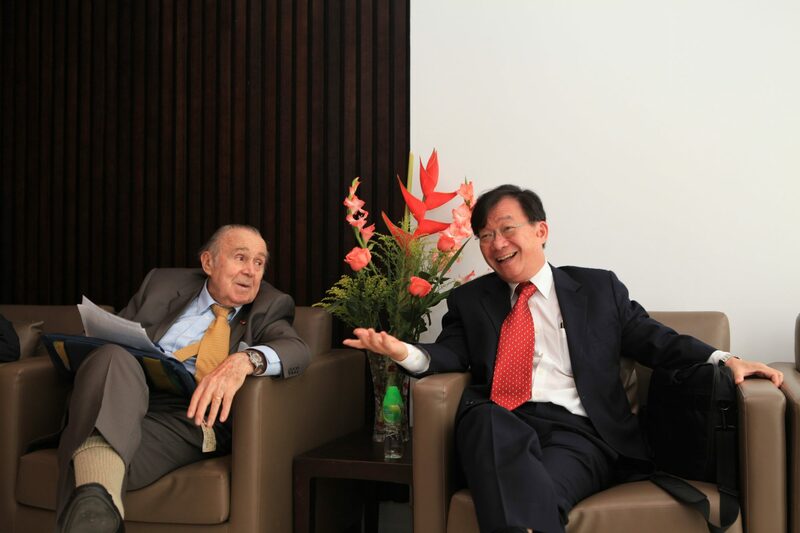 JSIEC was established in 2002 on a RMB 70-million donation from the Li Ka Shing Foundation and collaboration between the Shantou University and the Chinese University of Hong Kong. 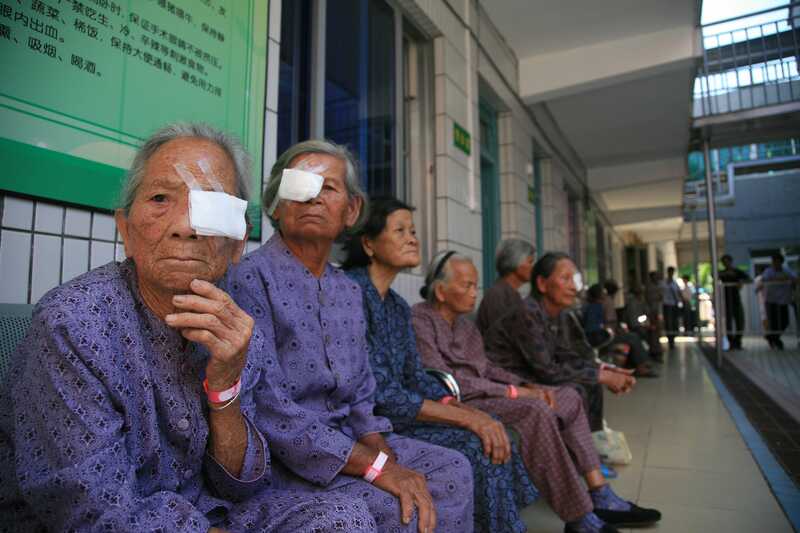 As a specialist eye hospital, the JSIEC integrates medical service, research, education and blindness prevention. 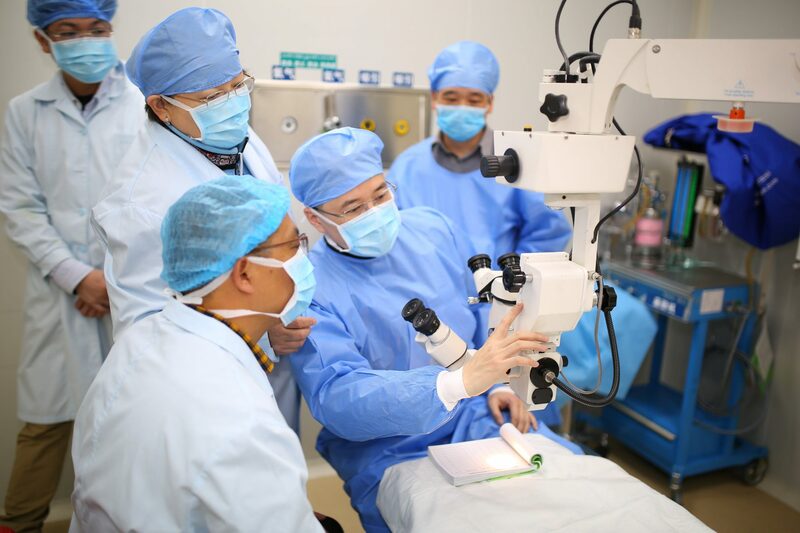 We are a non-profit tertiary eye hospital under the health department of Guangdong province and the fifth affiliated hospital of Shantou university medical college. 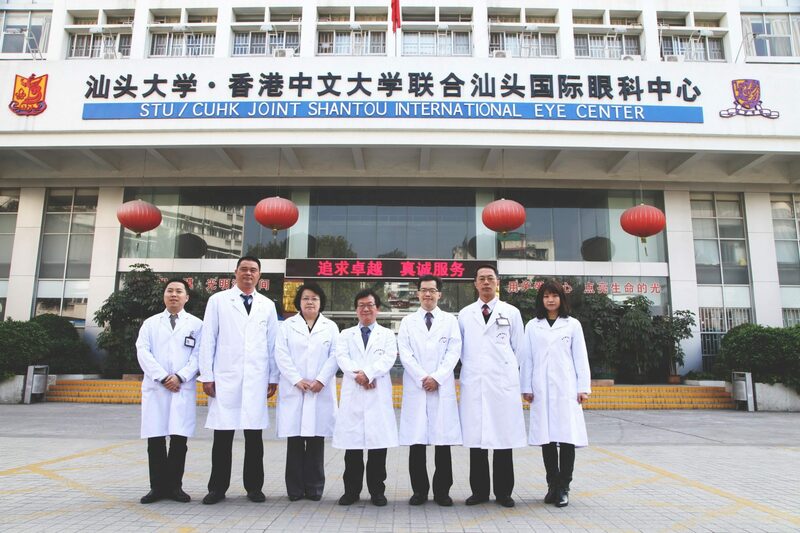 The JSIEC is devoted not only to providing the best patient care, but also to training and cultivating a new generation of outstanding eye doctors, and to promoting the cause of corneal donations in China. 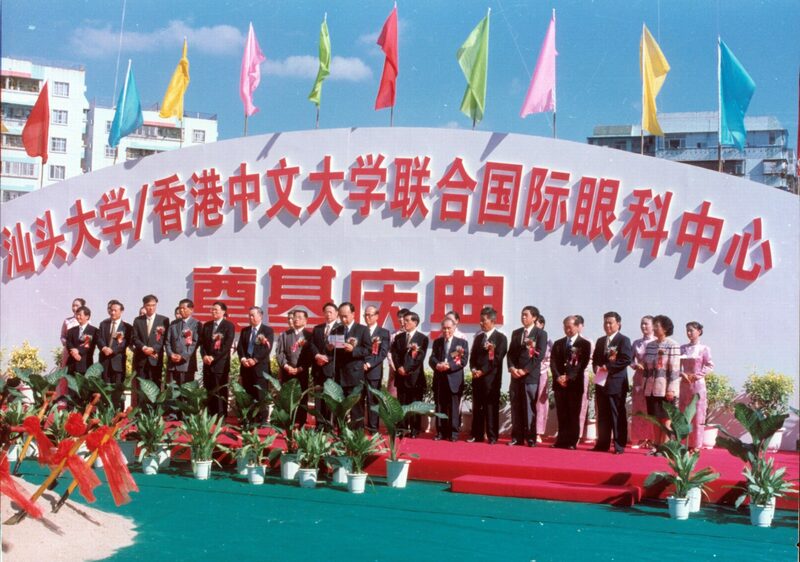 Since its inauguration in 2002, the JSIEC, at its present premises with a floor area of about 10,000 square meters, has developed into a major eye center in southern China, providing ophthalmic service to over 20 million people in Shantou and the surrounding regions. With the current workload of about 250,000 outpatients and 20,000 surgeries a year and still rising, plus active research works and community services, we are expecting a new hospital complex in near future. 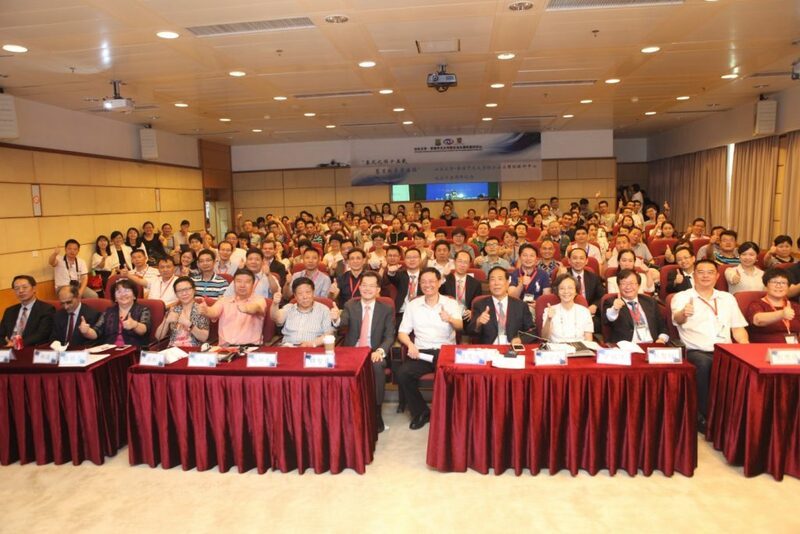 On 24th June 2017, JSIEC celebrated her 15th anniversary with publicity events and a scientific symposium. 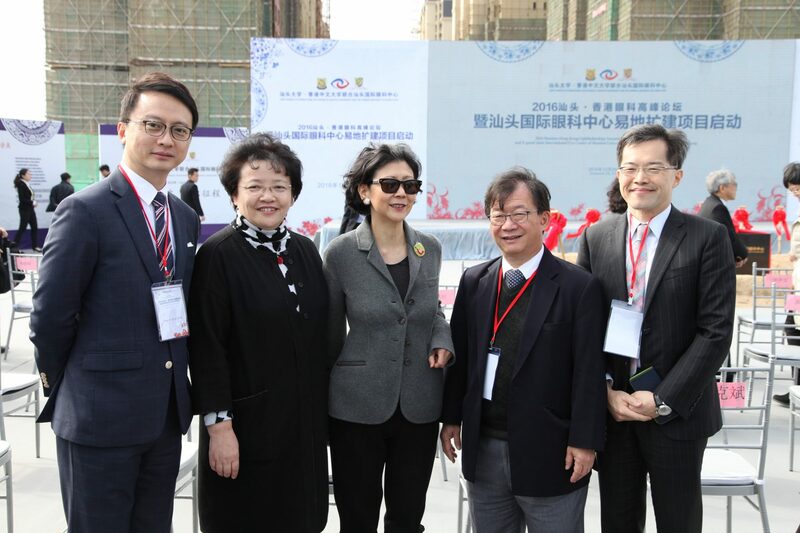 Prof Calvin Pang, Director of JSIEC, Prof Zhang Mingzhi, Vice-Director (executive) of JSIEC, Prof Clement Tham, our Chairman, Prof Chen Mohuai, Party Secretary of Shantou University Medical College, and Dr Frieda Law, Consultant of Li Ka Shing Foundation, officiated the anniversary events. All speakers expressed appreciation of the accomplishments of JSIEC in clinical work, research, training, education, and community services over the last 15 years, and gratefulness to all staff for their dedication and persistence in good work. 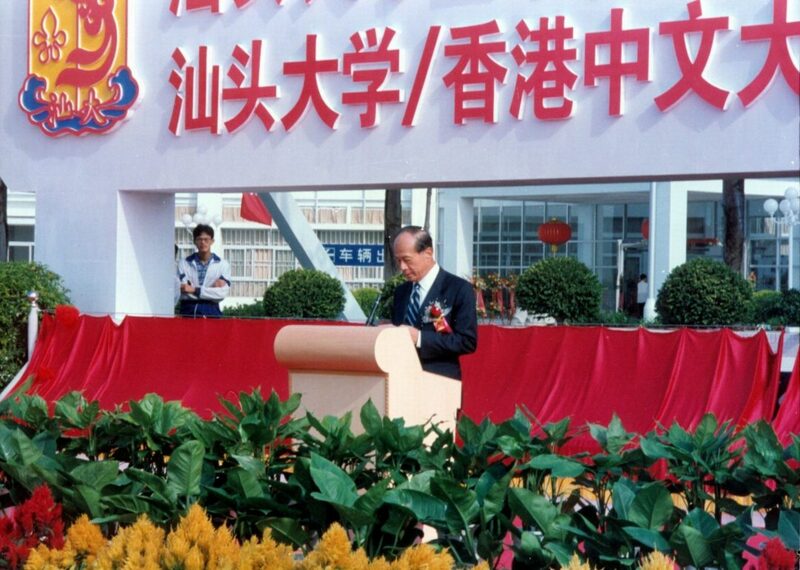 Prof Pang gave directives for high quality work in years to come, with anticipation of the new hospital complex. 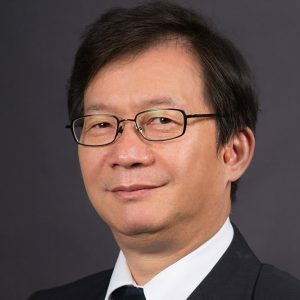 Visiting Professor Paul Baird from The University of Melbourne delivered a keynote lecture on “Gene Mapping of Eye Diseases: Concepts & Technologies”, highlighting recent progress in ophthalmic genetic research for future innovations in vision science. 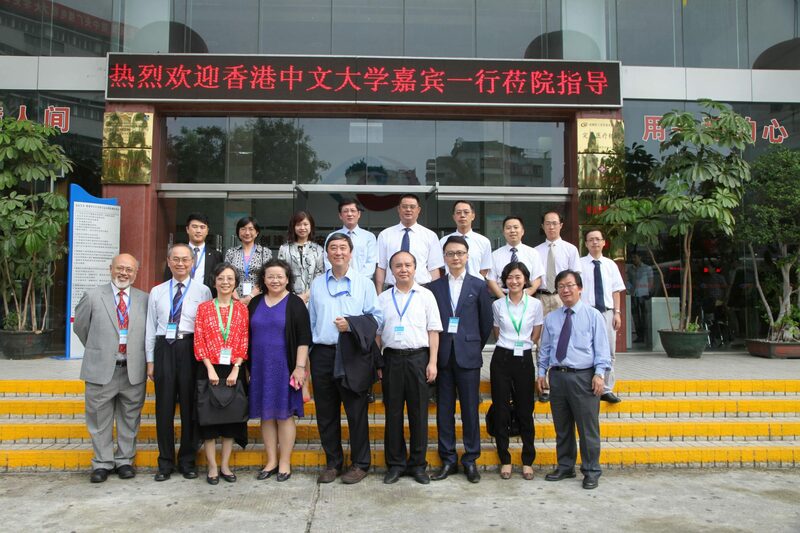 Guests, professors and students from both JSIEC, our department and other research institutions also shared their expertise in ophthalmology through the scientific symposium. 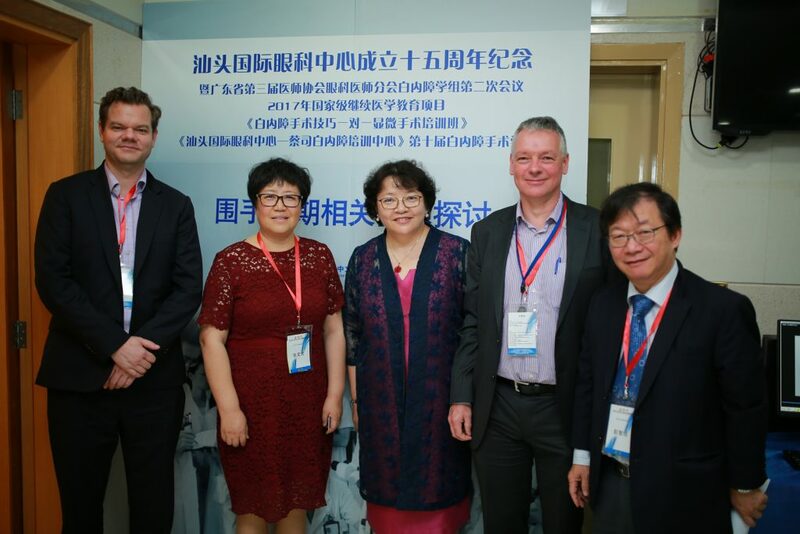 From right to left: Professor Calvin Pang (CUHK), Professor Paul Baird (University of Melbourne), Professor Mingzhi Zhang (JSIEC), Professor Wenfang Zhang (Lanzhou University) and Dr Marten Brelen (CUHK) celebrated the 15th anniversary of JSIEC. Scientific symposium attended by guests, professors and students from both JSIEC, our department and other research institutions. 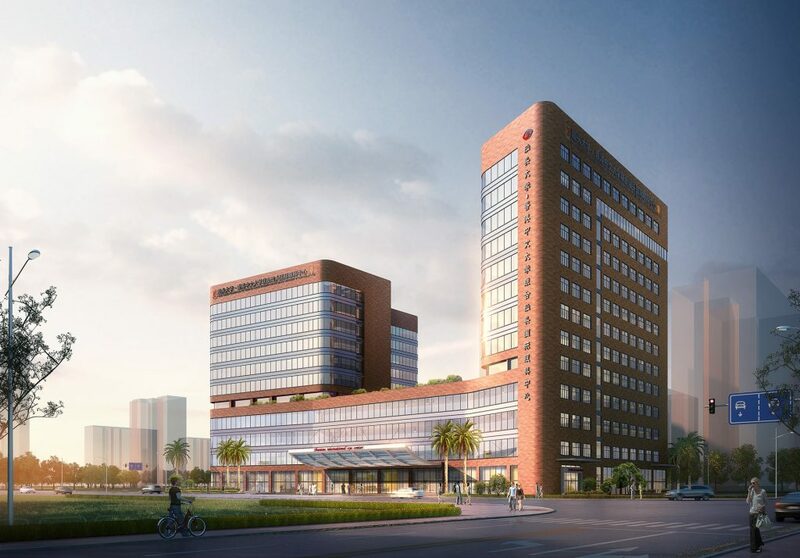 The new hospital complex of JSIEC, a signature project of the National 13th Five-Year Plan in Shantou, is expected to fully operate in 2020. Its floor area is about 56,000 sq.m., with a team of 200 ophthalmologists, it is targeted to serve 1,000,000 outpatients every year. 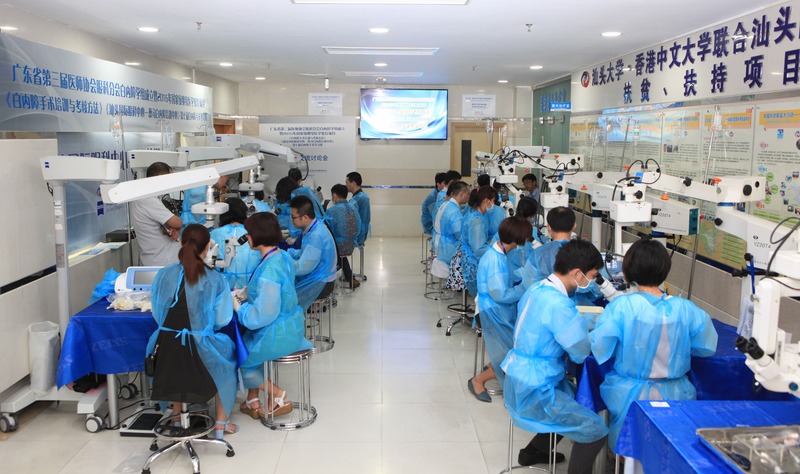 Besides, there is an Advanced Ophthalmic Research Center, which is equipped with the world-class research facilities, it aims to provide best research conditions and environment for the faculty staff and the partner institutes from overseas.